Carr Plumbing has been a customer of ours for years, and the first site we created for them was sorely in need of an update. The company had upgraded their showroom, and the website needed to reflect that. The original site was done on an older platform, so we rebuilt it in WordPress. We replaced old photos and copy with new, copy and images. 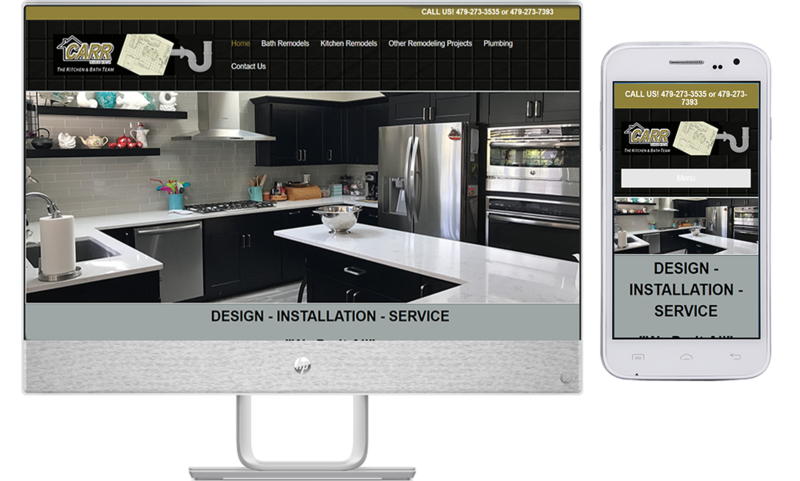 Of course, we created a modern and mobile friendly site that reflects the new direction of the company. The sophisticated design, in low-key black and gray tones, allows the beauty of their work to really shine through.